When you plan a holiday in Barcelona it's highly probable to hear that you must see a Flamenco dance (for more info please click ) show at least once. So for people whom recommend you see a Flamenco Show in Barcelona we have a great night suggestion which will be held in City Hall. Flamenco is an art in Spain and it's really important symbol of Barcelona even though originally it comes from Andalusia. It's a dance listed in UNESCO World Heritage status so if you plan a Barcelona Travel you can check this event out. 2016 Barcelona events are magical and musical. The show will last around one hour and ticket price is from 15€. 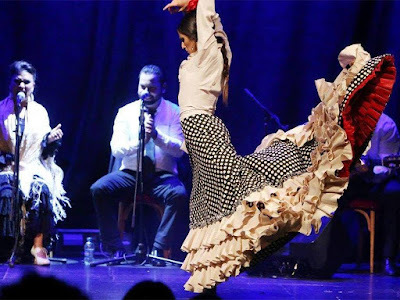 You can get more information about Flamenco Barcelona night by clicking http://bcnshop.barcelonaturisme.com/shopv3/en/product/buy/24114/flamenco-city-hall.html?o= For more events in Barcelona please follow your Barcelona city guide. Upcoming events in Barcelona are worth to see. Enjoy the night.